What Are the Best Security Cameras for Your Home? Does Your Home Need Security Cameras? We assume you want (and need) safety for your family above all else. You do not want uninvited ‘guests’ to join you in your home unexpectedly, correct? Besides putting locks on doors and windows to keep unwanted guest out, what else can you do? A security system would be next on our list, and with a good security system comes security cameras. That leaves us with the following two questions; Does your home need security cameras and if the answer is ‘yes’, what are the best security cameras for your home? Here are some reasons to have security cameras. We think some of these reasons might resonate with you. Do any of these apply to your living situation? It is tough to say what the best security cameras are for your home. Your security alarm dealer can help you figure out what you need, but here are some parameters to work with. Will you need to, or want to access the camera feed live, remotely? Do you have a pool, hot tub or another outdoor area that needs to be monitored? Do you own expensive cars or a boat housed in a barn or garage on your property that needs to be monitored? Do you often get deliveries to your home while you are not home? All these factors what type of cameras you need and where they should possibly be installed. How Many Security Cameras Does Your Home Need? The best person to ask this question to is your alarm system dealer. They have experience with this and can give you an estimated number of cameras needed to monitor your home, depending on the size, location and your needs. The best part is that if you currently have an existing system without cameras, it is fairly easy to add cameras, and even easier to add additional cameras at a later date since you’ll be wired already. How Can You Get The Best Security Cameras For Your Home? Relax and know you and your loved ones are protected! If your home is not secure, then neither is your family nor are your valuable assets! Peace of mind and security is everything; being able to fall asleep without worry or fear for safety, or leaving to go to work without a second thought about your home being invaded or burglarized should be a given. Not to mention going on a family vacation, or weekend trip; security and safety are important. However, that’s not the case for everyone. If you don’t live in a secure area, neighborhood or city, or if your home has not been properly taken care of, you might need to take action to clear up some home security issues! We recommend you get a security system with monitoring, to make sure in case of an emergency, help is on the way, even if you can not make that phone call yourself! 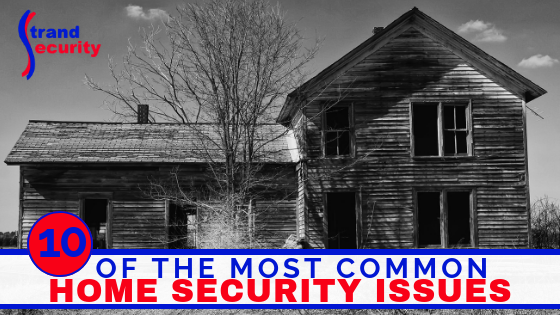 Today we explore the Top 10 Most Common Home Security Issues. This should be a given, but many people do not lock doors! Even when they leave for the day. The majority of burglaries do not happen at night as you might suspect! Instead, most burglaries happen during the day between 10 AM – 2 PM and most burglars walk in through unlocked doors. A simple fix is to make sure every occupant has a key and everyone understands the importance of locking the door they leave though, at all times. If you have teenagers, call a family meeting and start locking your doors today! Depending on where you live, you might have opened windows during the day, or night, to let in fresh air. There is nothing wrong with that IF you are home and can set your security alarm system to ‘on’. However, if you leave windows open and/or unlocked, burglars can easily come in through those. Have you recently had someone come in your home to do work (a painter, rug cleaner, HVAC technician etc.)? Double check your windows are locked after they leave! It should go without saying that if locks are broken, not working or if you’ve lost the keys, you need to replace them asap! If you think you may have ‘compromised’ your security by giving out too many keys to neighbors, friends, family and the petsitters, and you can not account for the keys, it is time to redo your locks! Landscaping matters. Burglars can use bushes to hide in and neighbors can’t see what is happening if landscaping gets out of control. At the same time, if you let your lawn get long and don’t clean your yard, it indicates to burglars that your house might be unoccupied at times which would mean a good haul for them! Clean up your lawn, your yard and keep large bushes away from the house. Replace light bulbs as soon as they burn out and install motion-detection lights it at all possible. This way, whenever someone approaches your home at night, the lights go on, deterring them from breaking and entering. If your home is always dark at night, especially if you are away for an extended period of time, it would be beneficial to your security to add a few timers to the lights inside your home to make it look as if someone was home. A dark home is often equated with an empty home which in turn signals to burglars to it might be safe to enter undetected. Overgrown lawns and bushed, unkempt yards and junk piled up in your front or backyard signals to burglars that your property might be abandoned, or if not abandoned, not high on your priority list. Unkempt outdoor space invites shady characters and you might even find yourself with the unwanted attention of local youth looking for an undetected space to hang out! If you do not gather and collect your mail on a daily basis, it signals, again, that you are not home often, thus leaving your home exposed to possibly burglaries. Anyone driving by your home can see when your garbage can stays at the curb longer than a day! If it sits there for 2-3 days, people will assume you are absent from your property. If you are going to be away, as a neighbor to return your can to your home or garage once it is emptied. The number one sign burglars look for when scouting for homes to burglarize is that yard sign! If you have a yard sign and a security system, most burglars will move on to an easier target! Truth is, burglars do not want a confrontation with the homeowner. They’d rather skip your house and move on to the next, more easily accessible home. If you have a security system; use it daily. Use it all the time. If you have a security system; add that yard sign to your home. It works to deter burglars. If you don’t have a security system yet, come talk with us! 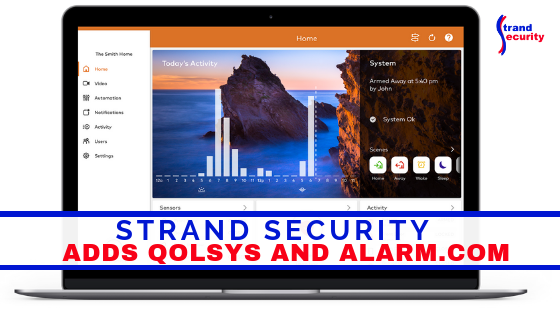 Strand Security Adds QolSys and Alarm.com To Their Family! Strand Security Adds QolSys to their Line Up! We at Strand Security have just added QolSys to our line up. Watch this introductory video to learn more! 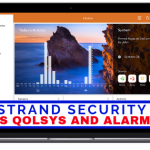 We are thrilled to be offering QolSys and Alarm.com to our Strand Security customers. Who (and What) is QolSys? The QolSys IQ Panel connects to an entire suite of mobile apps specifically designed for each platform. With apps for iOS, android, windows, and even BlackBerry, you can be connected from your desktop computer, a tablet, a smartwatch, and a smartphone. The user interface on each of these platforms was specifically designed to be consistent for an easy to use, intuitive experience. It’s easy to find and download the app you need by searching for ‘Alarm.com’ in the application stores. 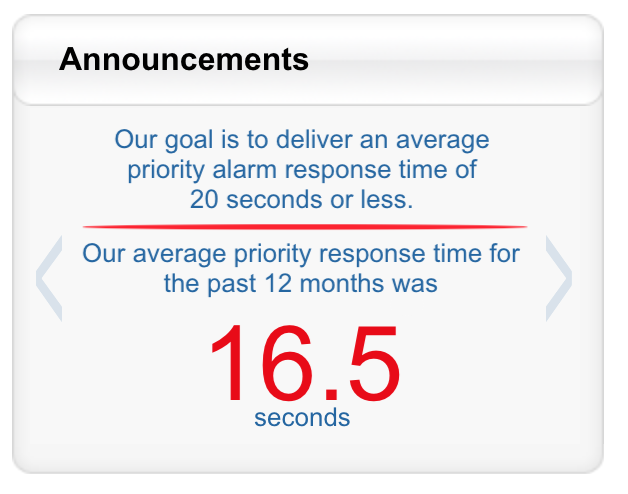 Alarm.com is the leader in Smart Home Security, giving you solutions to monitor, protect and automate your home. Take a tour of a Smarthome with Madison to see the possibilities! Engineered for small and medium-sized business owners, Smarter Business Security combines intelligent intrusion detection, video surveillance, access control, and energy management into a single, cost-effective solution. Traditional keys are a nuisance. You don’t need us to point this out, of course. You know how easy keys are to lose, or misuse. You know the inconvenience of tracking a key down when an employee leaves, and the expense of re-keying a lock when you can’t. You know about dashing to work to let people in when your manager gets sick and has to stay home. But do you know about the new, easier, smarter alternative? Smarter Access Control is a commercial access solution, engineered by Alarm.com to bring the benefits of modern access technology like smart locks and card readers to small and medium businesses. Powered by smart business security technology, it’s easy to use, enabling you to set up and manage secure, keyless access for you and your employees, across multiple locations, with no IT expertise or extra resources needed. When we install your QolSys IQ panel, Alarm.com will power the system. As an official Alarm.com dealer in the Myrtle Beach area, we serve Horry County as well as Georgetown County residents and businesses. We can’t wait to show you the possibilities. We welcome you to come to our Murrells Inlet showroom for a QolSys IQ panel demo anytime! We would be honored to secure your home and business with QolSys and Alarm.com. Give us a call today. Accidents and attacks happen in mere seconds. People get mugged, attacked, and robbed daily. Businesses get vandalized and their employees robbed and you might never have known about it unless it made the news. Within precious seconds, or even in the blink of an eye, something can happen to you or a loved one that will alter the rest of your life. How well you are prepared often dictates the outcome! The more prepared you are for the potential of a natural disaster, personal attack, accident, home invasion, fire or another emergency, the better off you are. Leaving it all “to chance” is one sure way to set yourself and your loved ones up for failure and a negative outcome. 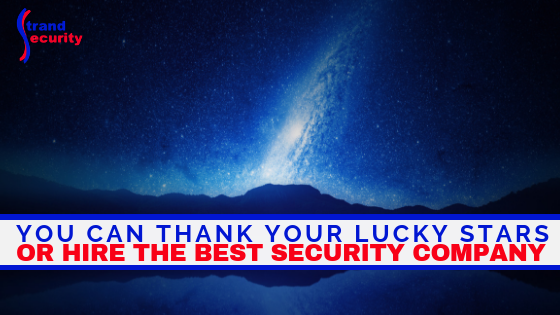 Do You Want Your Security To Be ‘Lucky’ or Scientific? Each year, millions of Americans deal with the aftermath of personal disasters like accidents, home invasions, fires, attacks, vandalism and more. Let us look at some statistics and scientific data next, to find if preparation for an emergency can make a difference. Facts and Data Don’t Lie! We contract with C.O.P.S Monitoring Services and this is why! This means that when you do have a home or business emergency, help is on the way instantly, even if you are incapacitated due to injury, smoke inhalation, an attack or another emergency! How is this for a statistic: “Almost 30% of burglars enter a home through an unlocked door or window.” It’s easy to prepare and to make sure to lock up every night to prevent burglaries. Don’t Leave It To Luck. Hire The Best Security Company Now! We are on standby to help you and yours. Your security is our business here at Strand Security and we take it very seriously. We are a locally owned and locally operated business and we want nothing more than help to protect those whom you love and that what you’ve worked so hard for! Come to talk to us and learn the difference. We Are Thankful For Our Customers! We wouldn’t be where we are today without our loyal customers. To our current customers, we’d like to say “We enjoy doing business with you and thank you for your patronage.” For those who are not customers yet; “What are you waiting for?” Pick up the phone and give us a call! 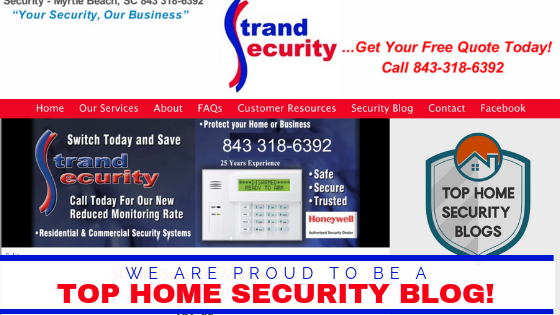 We Are Proud To Be A Top Home Security Blog! We have some news to share and something to celebrate with you, our readers! We were recently named a Top Home Security Blog by Lockpick World. It’s a great honor to be included in this list of top blogs, for sure! These blogs, websites, and experts are some of the best in the field of home security. They can supply, guide, and educate you with everything you need. These are great, encouraging words to hear. We work hard each week to provide with you with an updated article about everything home security – and commercial security, too – so that you may stay safe! We stop at nothing to give you the best, day in, day out! We value our customers, each and every one of our customers, and while it is amazing to be recognized as a Top Security Blog by a peer organization, we really love it when our customers leave positive Facebook and Google reviews for us online! These reviews help future customers know more about Strand Security and what we do! As much as we can tell you about our customer service, our brand, equipment, and company, people trust other people more than they trust businesses. If you’ve ever interacted with us, we’d love for you to take a few minutes to review us. It will help future customers makes decisions, and it will help us to be found online. We now proudly display this logo! 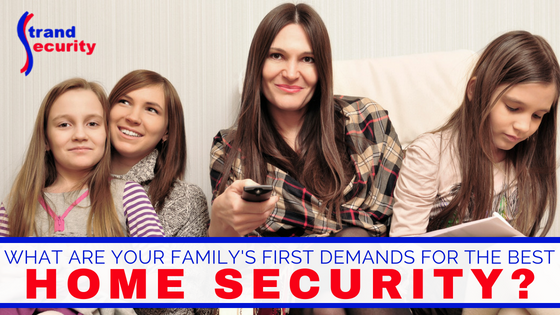 What Are Your Family’s First Demands For The Best Home Security? Is that a question, or a demand? We know the truth! 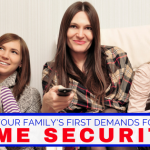 Of course, you want to protect your family with the best home security. Whatever it is that is most important to you, know that we value the same things as we live right here on the Grand Strand ourselves and want to protect our family, just like you do. We will work with you, your budget and your needs, always. What Does Your Home Need To Protect Your Family? If you are a new homeowner, you’ll be (most likely) new to home security too. Protecting your family goes beyond protection from a home invasion or burglary. What your home needs is up to you; consider your security company a valuable partner in selecting the right equipment to keep you and your loved ones safe! What Does Your Family Want To Feel Safe? Now that we know what you want, and what equipment is needed to keep your family safe – and to get the best home security for your family – let us look at what your family needs to make it all work! Many more families these days have multiple generations living or working together. This means that multiple people will be using your security system and you will need the equipment you pick to be easy in use and access. Most likely, you will want remote access to your cameras and system! 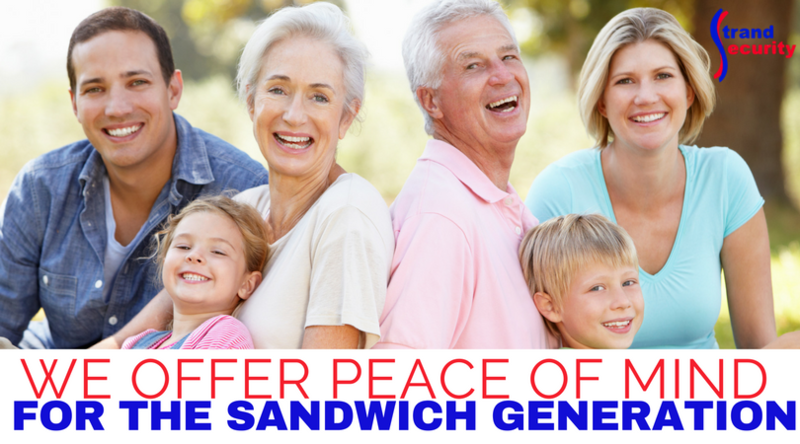 Click here to read more about multiple generations & home security! What Is The Best Type of Home Security For Your Family? We can only answer this question of ‘What is the best type of home security for my family’ if you answer a few questions of your own first! What can you afford to spend on equipment (i.e. cameras, sensors)? How much can you afford on monitoring services each month? Do you prefer working with a locally owned and operated business owner, or a large franchise? We will be happy to help you figure out what your home needs, what your family wants and what you can afford! Can I Keep My Family Safe Without A Security System in Place? Why would you want to? Is saving a little bit of money each month worth not having peace of mind? How much are you spending on health insurance, homeowners insurance, car maintenance, and your pension each month? Safety and security are clearly important to you if you pay those bills. Now, who wants to live like that? Get started today – give us a call and you’ll be feeling much better! 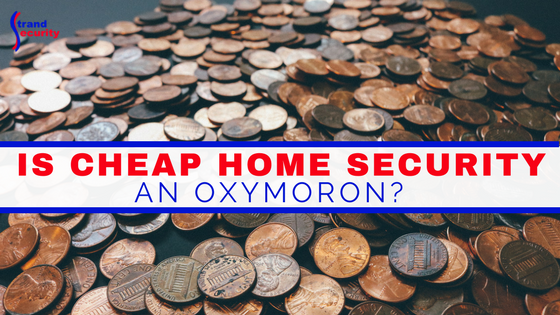 Is Cheap Home Security an Oxymoron? Do You Need a Security System But Think You Can’t Afford It? If you think you need a security system, you probably have done some due diligence on crime rates in your street, neighborhood, town, and county. People come to us for security systems for some of the following reasons. The last reason is what we hate to see happen to anyone! People call us after they’ve had a home invasion, burglary or experienced personal violence. They are scared, worried, traumatized by the recent experience and need to feel secure and protected once again. There’s not always a budget for a security system when crime happens, which of course always happens unexpectedly. Today, we’d like to talk to you about cheap home security. Is there such a thing as cheap home security, or is it an oxymoron? Is There Such a Thing as Cheap Home Security? Well… the answer is yes. Having said that, here are some ideas for cheap home security (and the limitations each option brings). Get a dog. Dogs aren’t free, of course, but having a dog will deter potential burglars. They’d rather go to the next house than confront a dog. Put up fake security cameras. This again is a cheap solution and might give you a false sense of security. Will it deter some crime? Sure! Will it help you during a crime? Not at all. Put your inside lights on timers and outdoor lights on sensors. When criminals are casing houses to break into, they will look for signs of activity. If you have lights going on and off, they might skip your home. Add loud sensor alarms to your windows and doors. This will not prevent any crime, but it will alert you, the homeowner, to a crime in progress. Adding any of these options to your home will give you a bit more security and most likely a bit more peace of mind. These are not perfect solutions by any stretch, but if you are limited on funds, these options are a good place to start. Can A Home Security System Be Cheap and Good At the Same Time? Home security systems come in all shapes, sizes, and brands. They run the gamut in equipment fees, monitoring fees, and smart-home intergration. We can install a very basic home security system that you can afford. We offer great monitoring rates with the best monitoring service. We trust not just our customers with COPS monitoring, but our own family as well! How Should You Decide On a Security System? This article features 5 questions you, as a homeowner, should answer before picking up the phone and calling us. Once you have an idea of what you want, what you can afford and what you need, we are ready to talk shop with you! What Type Of Security Can You Get on A Limited Budget? Even on a limited budget, you should be able to get a solid security system to fit your needs. We recommend budgeting for a monthly monitoring fee to get a complete package and the best service and security. Interested to know why we work with COPS monitoring? Check out these two articles. Dispatchers standing by 24/7 monitoring with COPS for your security! #1 Work with a local, locally owned security company. We can not stress the importance of this enough! #2 Check the company out online. Read reviews, check their website and social media channels. #3 Ask about technician experience. Anyone who is proud of their work will tell you how long they’ve been in the business and why! #4 Call your local chamber or the BBB for recommendations. Any legitimate business will be registered and most likely be active in the community. #5 Ask for current specials and promotions. Some companies run online promotions you might not know about when you call. They most likely will be happy to give you that promotion. All you have to do is ask. We are here for the Myrtle Beach, Horry County, and Georgetown County communities. Give us a call today, or any day. 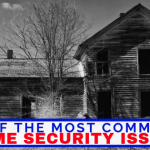 Are You In The Market For A New Home Security System? Are you a new homeowner? Have you recently moved to the Myrtle Beach area? Are you unhappy with your current home security system? If you fall in any of these three categories you might be looking for the best home security system available to you! We want you to know we’ve got you covered! 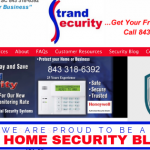 Strand Security is a locally owned and locally operated security company. We provide both residential security systems as well as commercial security systems. If you need to protect those you love, we can help you get started with the best home security system your money can buy! 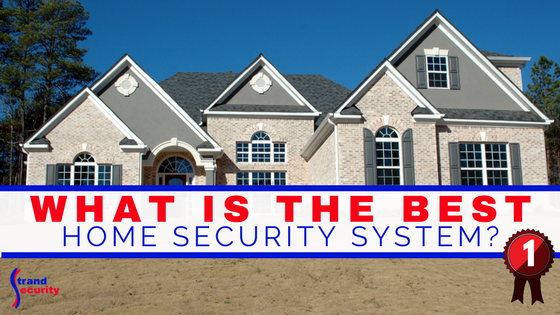 What Makes A Security System The Best Home Security System? If you were to talk to 20 experts, you might find 20 different opinions about what the best home security system might be. That doesn’t make it any easier to decide, does it? I bet you’ve called around, looked on the internet, maybe you’ve asked your friends yet you still aren’t’ sure what defines ‘the best home security system’. There are so many bells, whistles, brands, companies, options to choose from! We have identified five important markers for you to check to find the best home security system for your home and family. Here are the five questions you need to ask yourself! Grab a piece of paper and start writing down answers, then give us a call! 1) What is The Best Home Security System For The Size and Location of Your Home? What type of system you need, and want, depends on your home; the size, layout, and location. Are you in an apartment or condo? Do you live in a city, neighborhood, or in a rural community? Is it detached or attached? 2) What is The Best Home Security System That Fits Your Financial Budget? As we can’t look in your pocketbook, or checkbook for that matter. Therefore, you should find a price point you are happy with before contacting a security company. It will help them, and you, decide on what you can afford at this time. If your financial situation changes, you can add additional features and services! If you have to go ‘bare-bones’ to start with, go for it, but make sure to make that a clear objective when searching for the best home security system. 3) What is The Best Home Security System For Your Intended Usage? Not everyone likes bells and whistles. Not everyone needs or wants all the latest technology or the highest ranked equipment. It is important, however, that your system performs the tasks you need it to perform! Would you want to watch video footage? Would you want to watch video footage, live? Would you want 24/7 security monitoring? How many people will need access to your system? Do you have kids, babysitters or elderly parents who need to work the system? Once you have an idea about functionality, it’s time to talk integration. 4) What is The Best Home Security System To Integrate With Your Current Installed Technology? If you bought a new home with security system equipment installed, your (new) provider needs to know what system and what equipment is currently in your home. Sometimes this equipment can be reused or repurposed; this will depend on what brands your provider works with and the age of the system and equipment. If you already own home automation hardware and software and you want to integrate a new security system with it, your security provider needs to know this as well. It is important to make a list of all technology in your home. 5) What is The Best Home Security System To Compliment Your Family’s Needs? There is a difference between what your intended usage is and what your family’s needs are. Talking to your security provider is a great place to start. Tell them who lives in your home, who might need access to your system, whether you travel, if you also own a business which needs security and more. Answering these questions after having answered the four previous questions will help your provider give you options for the best home security system for your current home. 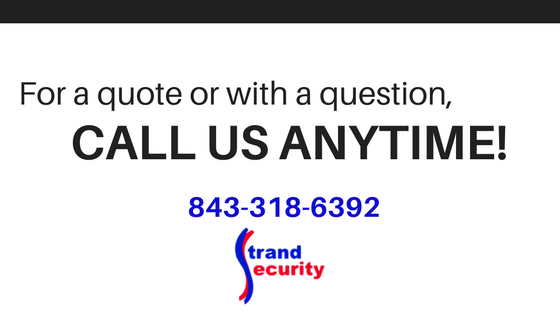 We welcome any and all inquiries about security systems. We are here to help protect those you love. We invite you to check out Honeywell Total Connect. 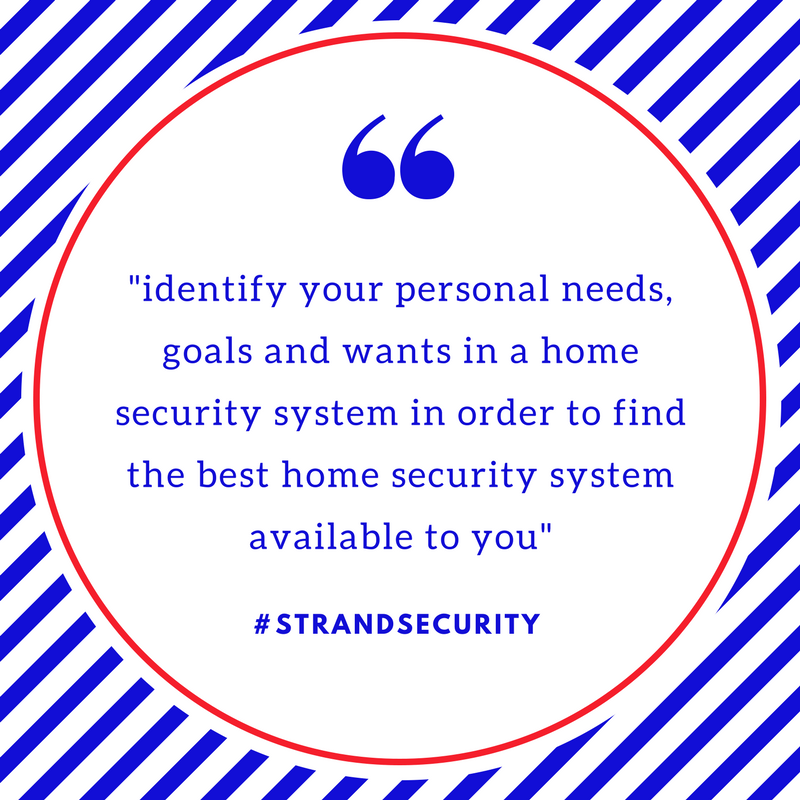 Give us at Strand Security a call today! Congrats, You Are New Parents! With this added bundle of joy in your family, comes added responsibility for you as new parents! As the leaders of the pack so to speak, you are in charge of keeping everyone in your new family safe, and your most valuable possessions secure. If you have an older child, or two, or three, you’ve most likely already adjusted some of your security and safety protocols each time you added a new bundle of joy to your family. If this is your first baby, we want to make sure that you are informed to make the best decisions regarding safety and security for your family. 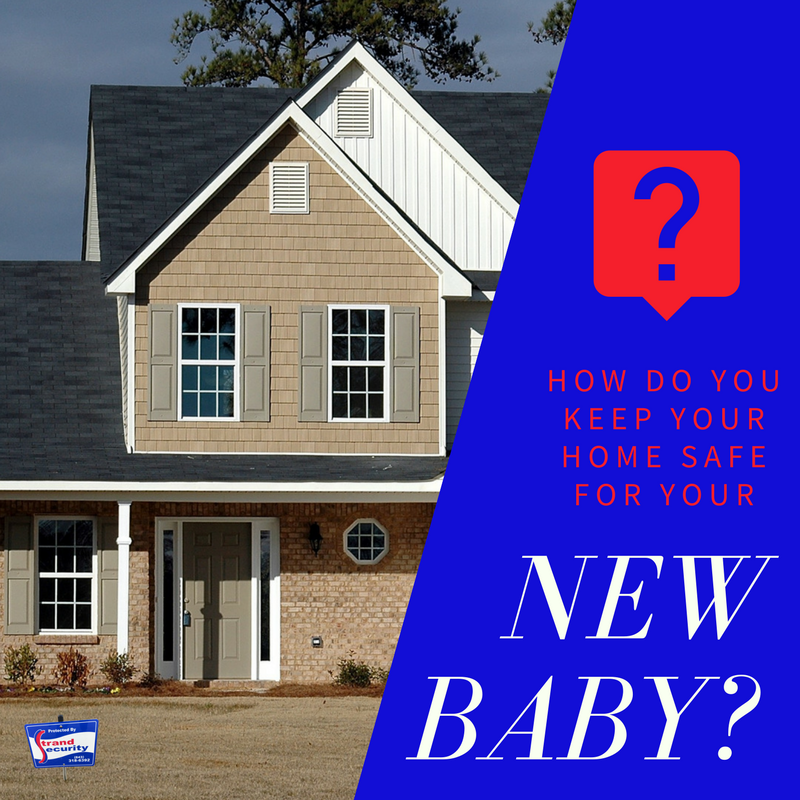 How Do You Keep Your Home Safe for Your New Baby? Here are a few tips we’ve gathered from the experts i.e other parents and security professionals. Keeping baby safe inside the home is great, but what about dangers coming in from outside? A home invasion is a very traumatic experience, whether you have a new baby, or not. 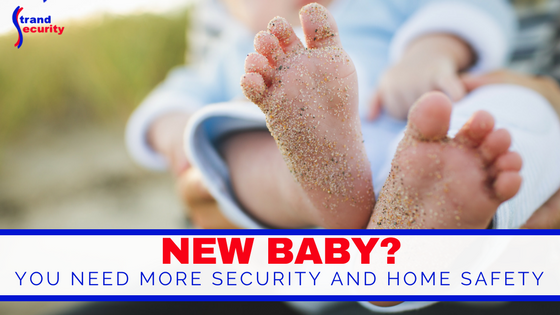 How Do You Keep Your Home Secure for Your New Baby? Make sure your security system is monitored by a trust-worthy monitoring station with a quick response time. Install and use a baby video monitor in baby’s room to check on baby when at home, or add an extra security camera to your system to monitor baby from anywhere in the home and while away from home. There is never a guarantee that a break-in or home evasion won’t happen to you and yours, yet there are many ways to deter a criminal. Then if you have a monitored security alarm system, you have the added knowledge that when help is ever needed, help is on the way with the push of one button, or with one tripped wire, or with one smoke alarm going off. We welcome your thoughts, questions and feedback! We have seen this question asked all month as it’s November. Many people practice #ThankfulNovember or #30daysofthankfulness on social media, sharing small and large things, places and people they are thankful for each day! We are so lucky to live in beautiful Myrtle Beach! We are lucky to live near the beach, have gorgeous weather most of the year and live a bountiful life lived in short, t-shirt and flip-flops! Are you thankful for your health? Are you thankful for your home? Are you thankful for your family? There are many people in this world who do not have basic necessities such as access to clean drinking water, food and a roof over their head. There are many people in this world who live in areas of unrest and war; we are so lucky to live in a place in this world with access to all of these things. 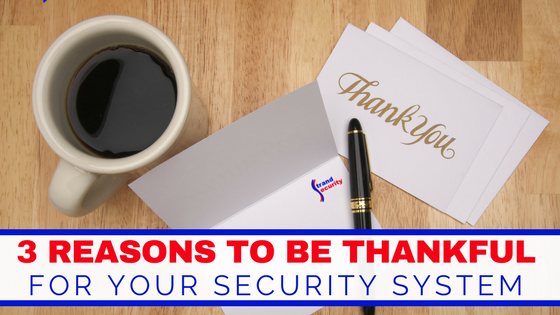 If you are lucky enough to live in a safe and secure home with an alarm system like we do, isn’t it time to list some of the reasons it makes you thankful? 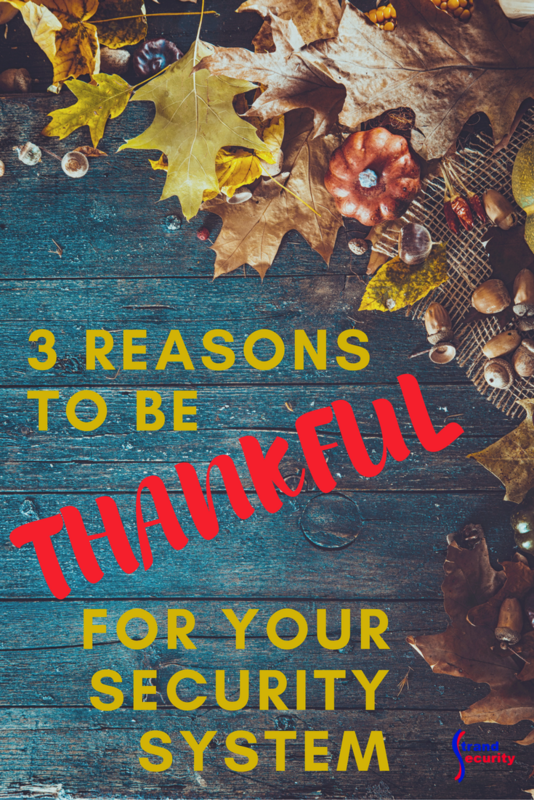 We have come up with 3 reasons to be thankful for your security system. Read and let us know if you feel the same way! This alone should be the #1 reason you are thankful for your security system. In case of attack, fire or home invasion, your security system – if connected to our monitoring company C.O.P.S. – can call the authorities for back up, whatever agency is needed (rescue, fire or police). Minutes and seconds saved can be the difference between a good or a very bad outcome of any of these scenarios. We are thankful that our security system keeps our loved ones safe! If you, like us, own a business, you know firsthand how much effort, time and money has gone in to making your business successful. You want that taken away in an instant now, would you? A fire that would totally destroy your retail store can do that. Employee theft can cripple your bottom line. An accident in your restaurant which results in a lawsuit can do that – but with a security system and security cameras in place, and a monitoring company to back you up, your business is protected. We are thankful that our security system deters crime our our business! Now when you add “Will Keep Your Loved Ones Safe” to “Deters Crime At Your Business” you got what? If you can rest easy because your family is protected and you can rest easy because your business is protected, how much is that worth to you? We are thankful that our security system gives us overall peace of mind! Strand Security Is Thankful Too! We at Strand Security in Murrells Inlet are thankful, too. Thank you for being part of our success story. We are thankful for you!